If you're constantly battling breakouts and skin issues, chances are you're struggling to find the best products for your skin type. Don't worry; we'll help. In middle school and high school, I had a serious skin problem. My acne was off the charts. Every other day, I'd find a new blackhead, a new pustule, or worse, a new cyst, all on my face, waiting to say hello to a brand new day. I was under the belief that I had oily skin at the time. The more I scrubbed and rubbed, the worse the acne got. I started getting a little drastic when it came to drying out my face. Eventually, my mom caught me trying to put dishwasher detergent on my face because it said it gets rid of grease. Realizing that she had a batshit insane kid, my mom dragged me over to the local department store where a clinician told me I had sensitive skin—and that it was actually dry skin that was reacting poorly to soaps! If you are struggling with acne or skincare, you might need to find out if you're using the wrong gear for your skin. 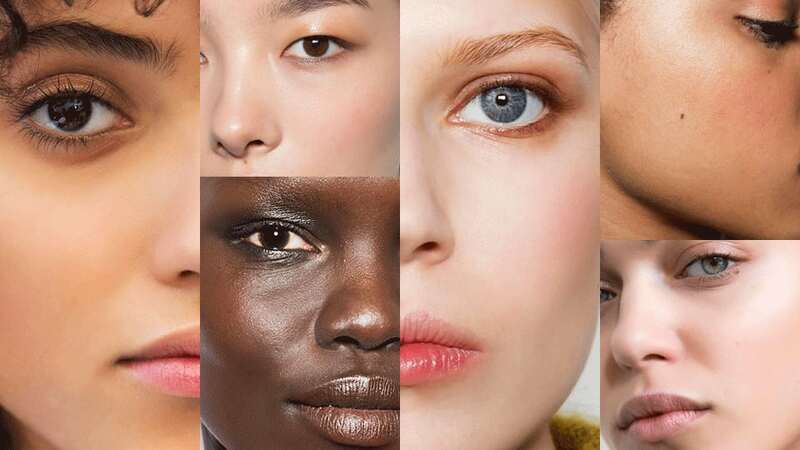 This guide will help everyone find the best products for your skin type, regardless of what your skin type may be. Dry skin is one of the most common skin types in the world, primarily because of the effects of aging. When a person ages, their skin starts to lose its ability to retain moisture as easily. Even so, you can have dry skin at a young age. Tight, Uncomfortable Skin. Does it feel like your skin was stretched a little too taut? Do you feel like you're wearing a mask on hot days? You probably have dry skin. Premature Wrinkling. Sorry to say, but it's true. Dry skin tends to mean premature wrinkling due to rapid moisture loss. Flaky, Scaly Skin. Do you find your skin flaking on colder days? Yup. It's dry skin. Blackheads. If you get acne with dry skin, blackheads are probably the most common type of breakout you get. Dry To The Touch. If your skin feels as dry as paper, chances are that you have dry skin. Cracked Skin. Watch out! If skin becomes too dry due to neglect or dry air, it could crack and bleed. Not fun. The easiest type of skin to work with, at least if you're looking for products is dry skin. This is mostly because the issue you need to fix is relatively easy and obvious. Dry skin means your body under-produces sebum, which is the natural oil that keeps your skin moist and supple. Therefore, all good skin products have moisturizing qualities to them. A good place to start would be to look into a facial oil that could moisturize, nourish, and help heal dry skin. Drunk Elephant's Virgin Marula Oil, for example, is a great choice to improve dry skin overnight. Drying products, on the other hand, tend to cause dry skin to flare up and should be avoided. In some cases, it could cause excess oil or inflammation, leaving your skin appear like a greasy, acne-filled mess. Or, do you have oily skin? On the flipside of dry skin is oily skin. When you have oily skin, your body is producing excess sebum that leaves you prone to breakouts and the dreaded "greasy" appearance that plagues so many teenagers. A Greasy Appearance. Does it look like you just dipped your face in oil? If so, you probably have this skin type. Clogged Pores and Acne. Excess oil means that you will be more prone to breakouts, more specifically, whiteheads and cysts. Fewer Wrinkles. Hey, not all skin type symptoms tend to be that bad. Makeup That Slides Off. Does it seem like makeup just falls off your face? This is a common problem with people who have oily skin. Try these products to curb that oil. The best products for oily skin work to help mattify and regulate oil production—or at the very least, reduce the impact of excess oil on your face. Things like clay masks, mattifying powders, alcohol-based toners, and similar goods tend to be the best choices. If you're struggling to find the best products for oily skin, start off with a nice clay mask designed to help clear away acne, like the ones from Glamglow. Does it seem like you have a combo of the two? If your skin is oily or dry, things seem pretty clear-cut, right? Well, some people are a bit unlucky. They will have skin problems that suggest they have oily skin on part of their faces while also having issues related to dryness on other parts. People who have both problems are typically known as having combination skin. This skin type needs to be balanced out, since their sebum production isn't what it should be. However, it gets tricky since different areas will need different treatments. Don't worry, they have skincare for you too! We're not going to lie. Trying to find the best products for combination skin will not be easy. Most of the products you will be able to use with ease are going to have to be specially formulated in order to work with combination skin and balance your sebum production across the board. Gentle cleansers that have been cleared for combination skin types are a good place to start. We suggest the Rise and Shine Gentle Cleanser, if you're brand new to finding skincare for combination skin. If you have few problems, you might have normal skin. Normal skin is a skin type too! This is the type of skin everyone wishes that they had. This skin has minimal issues, and feels like regular, soft, healthy skin. Normal skin is really easy to shop for. You don't need to look to far to find the best products for normal skin! It tends to work well with the majority of products on store shelves, and realistically, requires far less care than others. That being said, a good place to start seeking out skincare for normal skin would be a nice toner to use after your regular washing. We suggest this Balancing Antioxidant Toner, since it'll help you keep your perfectly balanced complexion. Sensitive to touch or light? You may have sensitive skin. Some people break out at the drop of a hat, and if you have sensitive skin, it seems like something as simple as grazing your face can leave you red and irritated. Sensitive skin is one of the trickiest skin types to deal with, primarily because it's so prone to breakouts. Having Lots of Acne. Acne flare-ups are totally common with sensitive skin. This is because unclogging pores, getting facial treatments, and doing much of anything can cause inflammation to occur at a drop of a hat. Red and Puffy Skin. Does your skin turn red extremely quickly? If so, that could be a sign of inflammation. Sun Sensitivity. Do you find yourself breaking out or burning in the sun? When you're outside, does your skin turn red almost immediately? Sun sensitivity is a form of sensitive skin. Broken Capillaries. In some cases, inflammation will become too much for sensitive skin to handle and will cause blood vessels to burst. Sensitive skin will require sensitive products. If you're looking to find the best products for your skin type, and you have sensitive skin, gentle is the name of the game. People who have sensitive skin tend to feel products burn if they are too harsh. The most important product you can start using ASAP is a sensitive skin-friendly cleansing bar that can get irritants off your skin. We suggest using Phytomer's Seaweed Soap, which has natural exfoliants and gentle oils infused in every bar. When in doubt, look for products that are specially designed for sensitive skin.